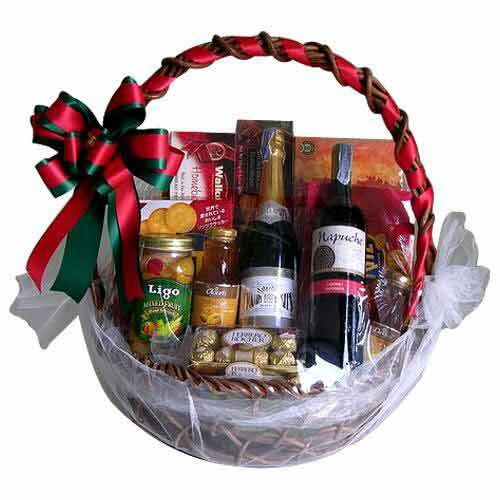 Product description: Delight your loved ones with this Heavenly Pink that combines happiness and excitement to deliver your love to them. 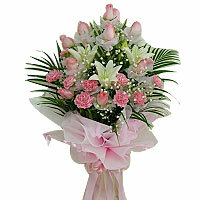 These Pink Roses and Star-Shaped White Lilies will capture the delight of their celebration with a magical charm.10 pink roses, 10 pink carnations, 3 white lilies. Choc-a-bloc bouquet is the perfect gift for all those chocolate lovers out there! 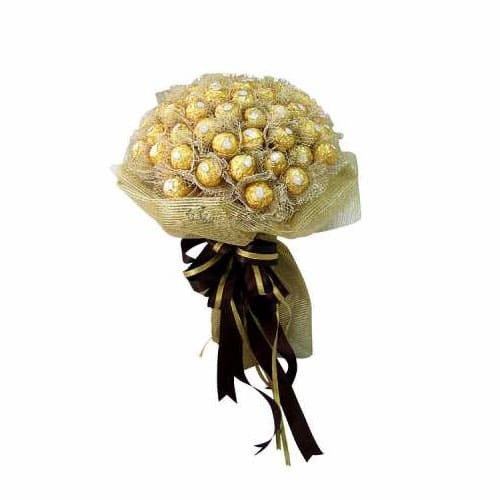 It contains 50 Ferrero Rocher chocolates arranged in the form of this wonderful bouquet. 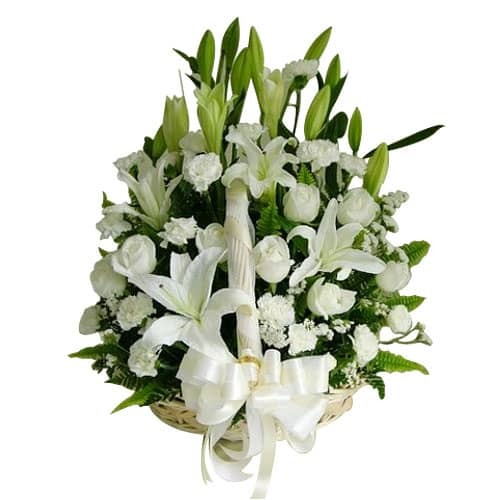 Let their heart go beyond the limits by sending this Wonderful White Flower Arrangement of Charming White Roses, Lilies and Fantastic Carnations beautifully festooned in a Basket. 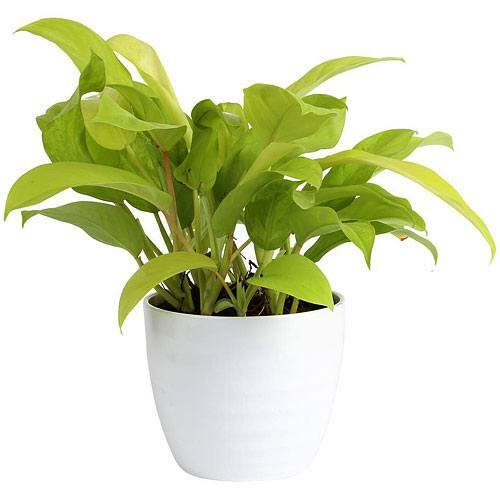 Impress the person you admire by gifting this Budding Fortune pot plant and sweep them off their feet. 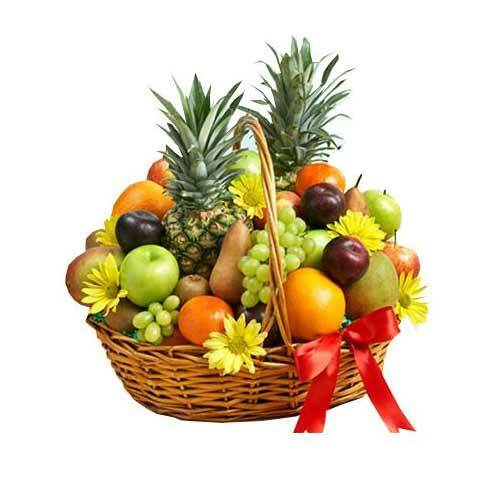 Congratulate your best friends and closer ones on their success by gifting this Seasonal Fruit Basket that is a pure piece of joy. 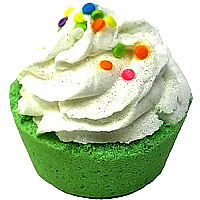 This splendid gift of Wholesome Vanilla White Valentine speaks out your heart even if you remain silent.